Welcome to Humphrey’s Pet Portrait. Joanna emailed to ask if I would be able to draw Humphrey as a Christmas gift for her husband. 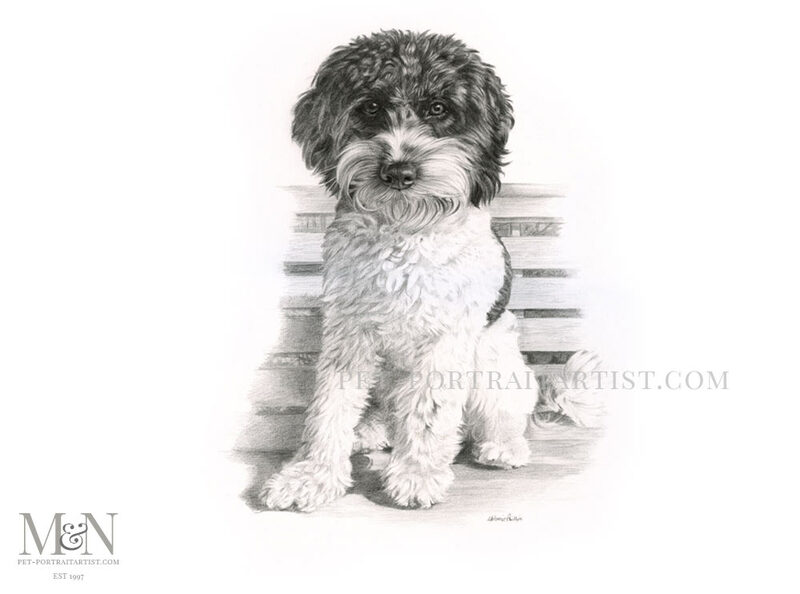 Humphrey is the most gorgeous Cavapoo and I was thrilled to have the opportunity to work with Joanna. Joanna emailed a full range of photos she had taken of Humphrey that year. There wasn’t one photo that was absolutely perfect for a portrait, although two very similar that could be suitable. There was a photo of Humphrey sitting on a bench where his head was slightly down which was great. Another of his head looking at us in the perfect pose too. I’m not often able to amalgamate photos however joining these two worked really well. I was able to swap heads to create a unique portrait for Joanna and her family. Liking the idea of having the garden bench he was sitting on, was a nice calming backdrop to the drawing. 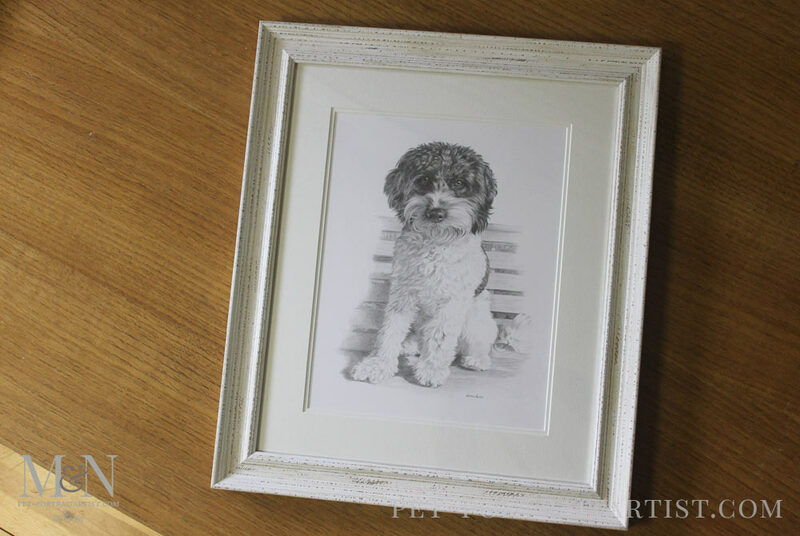 Humphrey was drawn at 16 x 12 size and he was framed in a stunning distressed white frame called Windlesham White which you can see below. 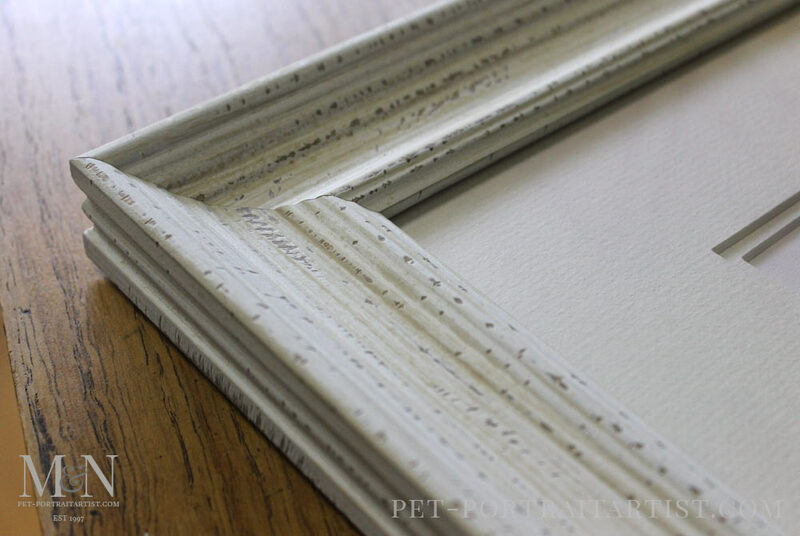 Humphrey is framed and the frame is beautiful, so serene and calming, we love it! 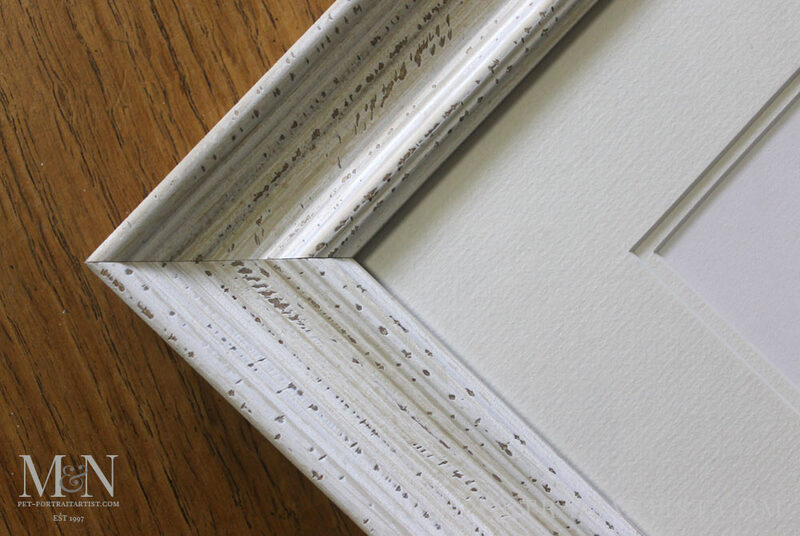 The Hayseed double mount works well with the chalky white of the frame. 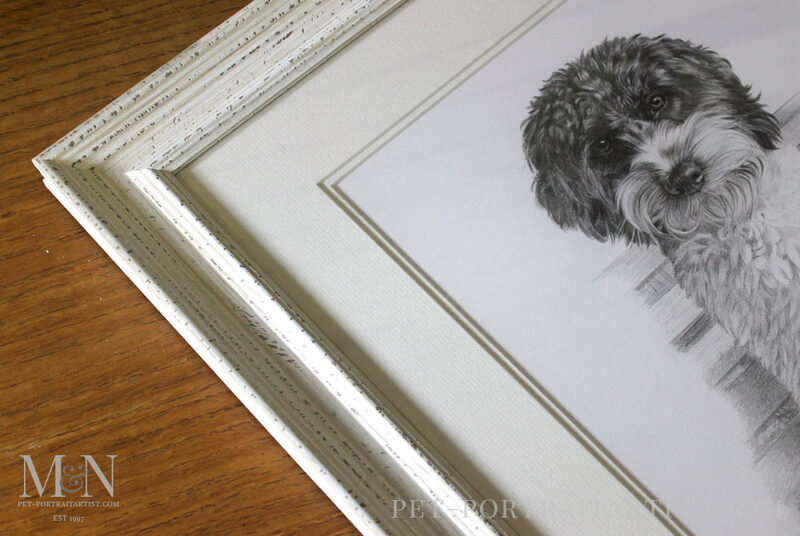 I have added the photos of Humphrey on my Pencil Portraits Framing Gallery and I hope you like how this one has turned out. 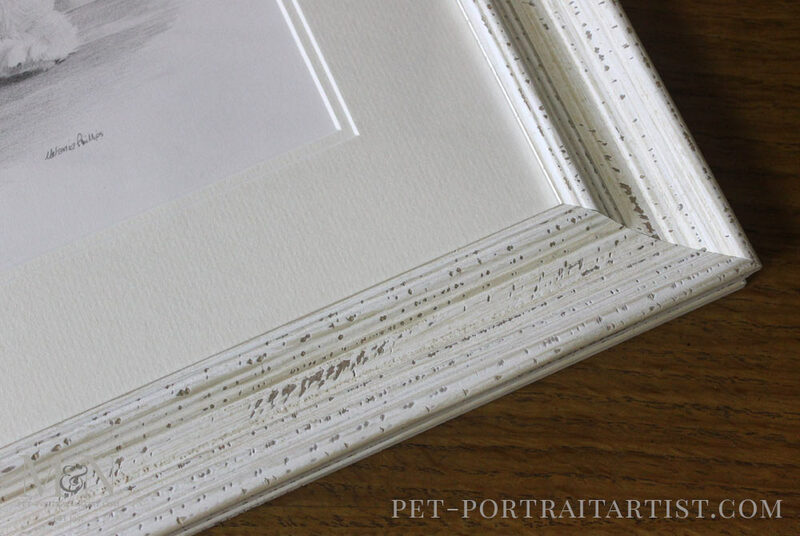 More photos of framed portraits coming soon this week too!